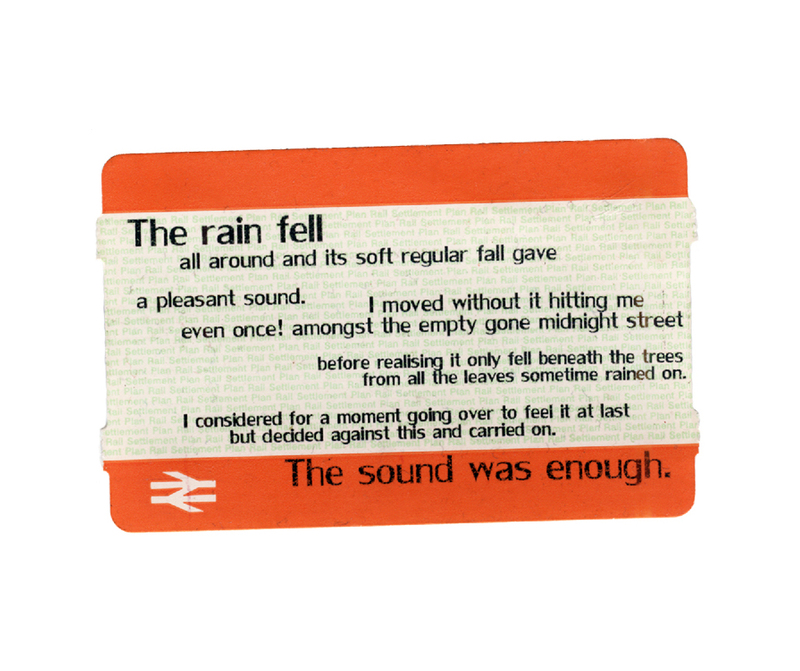 Train ticket with prose poem. 50 signed tickets distributed on various train journeys across the UK. 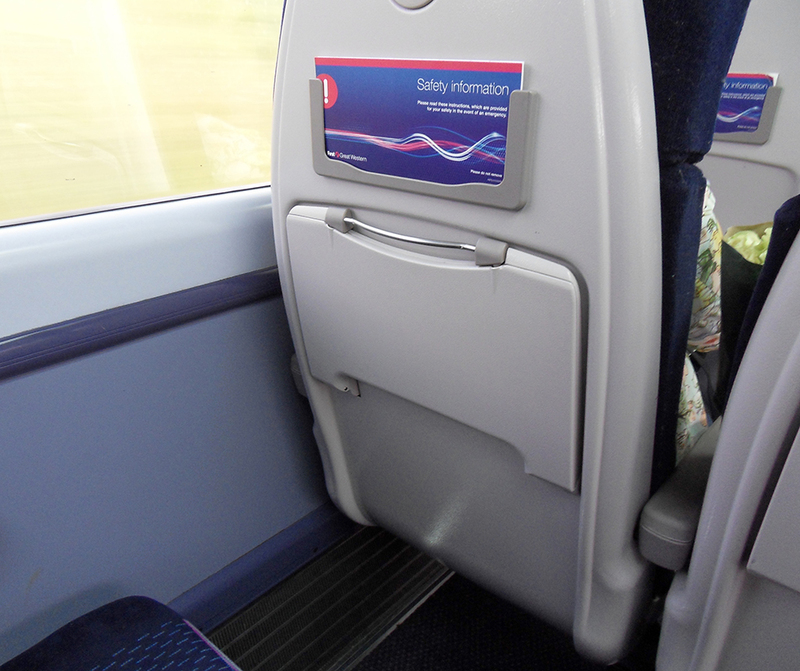 Sat on the left hinge of the pull-down tray, the ticket remained hidden until the occupier of the seat opened the tray.